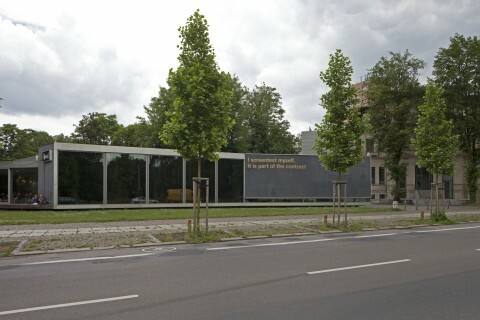 The three buildings that make up the Museum of Contemporary Art (GfZK) – Villa, Neubau and Garden House – are located on the grounds of the Herfurth Villa in Leipzig’s Music Quarter. Nearby are the Leipzig Academy of Fine Arts, the Academy of Music and Theatre, the German Literature Institute, numerous luxury villas and the sixteen-story high-rises from the late 1970s, just at the edge of the Johanna Park. The opulent villa was commissioned in 1892 by the Secret Oberbergrat Dr. Hermann Credner. It was created by the architects Carl Weichardt and Bruno Eelbo. The building is an exemplary historic monument, the design and detail of which reference North Italian and English traditions. It was expanded between 1915 and 1927, when Edgar Herfurth purchased the site. 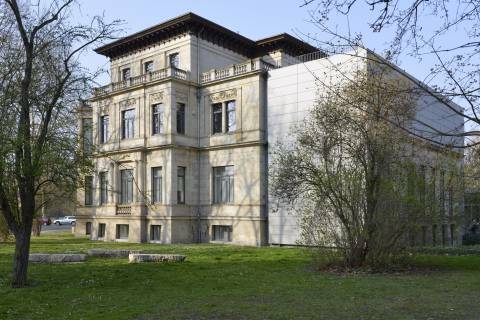 Between the end of the Second World War and the end of the GDR, the villa was used by different medical institutes of Leipzig University, and the interior was partially redone. From 1996 to 1998, Peter Kulka made many changes to the villa that was to house the GfZK. It was opened in 1998 and was given the Leipzig Architecture Award in 1999. Peter Kulka used the representative architectural structure of the villa, maintained the layout of the rooms and supplemented it with new views and perspectives. The rooms have a new, clean design, the architectural details have been reduced and only in the three “historic” rooms did Kulka break with the White Cube concept (Salon Credner, Salon Herfurth and today’s Edition Room). The differently proportioned rooms are connected in a chain on the ground floor and the first floor. An extra wing reflects the layout of a former arcade. Cement fibre and glass panes connect almost seamlessly with one another to build the skin of this cube. It is a counterpoint to structures from the turn of the century. 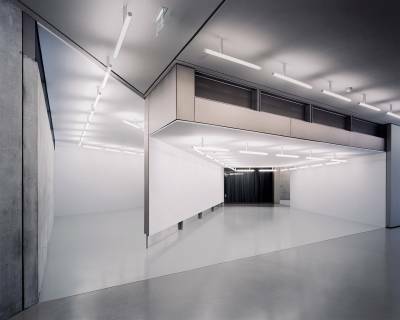 In November 2004 the second building “Neubau” was opened to the public adding more than 1000 square meters of exhibition space to the existing building complex of the GFZK. 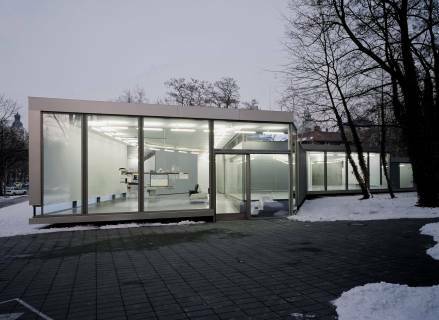 In close collaboration with the director Barbara Steiner, the architecture studio AS-IF designed a single-storey structure based on a polygonal configuration of spatial segments. Moveable walls, folding doors and curtains allow for the connection or separation of rooms in different constellations, and enable different exhibition layouts and content flow. The rooms are discovered through motion, revealing changing and unpredictable optical perspectives and connections. Interior and exterior flow into one another. Tall windows open up onto the street outside, the neighbouring buildings and the park, anchoring the architecture in the surrounding city. The building is divided into two zones. 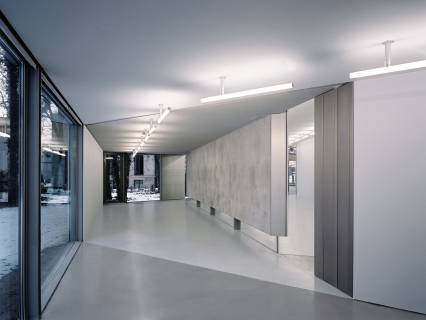 Ramps and corridors with béton brut floors recall the sidewalks outside and make wear visible. The exhibition rooms, with their floors and walls of the one colour, are timeless and continually renewed. Thus the architecture recalls the fact that spaces are continually being rebuilt and redesigned, inviting visitors to reflect on the interplay between individuals and their surroundings. In the old carriage house, also called the Garden House, there are two hotel suites designed by artists.